There are a number of questions that we regularly get asked, please see the questions and answers below to see if they can help you. If you are unable to find the information you need please do not hesitate in contacting the Fundraising Team on 01582 718289 or send us an email. Q Is the Luton & Dunstable Hospital a registered charity? Q Why does the hospital need to raise money? A The L&D raises to money to pay for things that are not covered by the NHS. These are things that enhance the patient environment or add value to the service that the Hospital provides. This money does not replace funding from the Government. Q Do I need permission from Luton and Dunstable University Hospital to fundraise on their behalf? A Yes. You need to contact the Fundraising Team for permission. You will need to provide details of your fundraising event or activities (i.e. date, venue, contact information etc) using the Fundraising Registration Form. Once we have this information we will register your event/ activity, giving you permission to fundraise on our behalf. We will not issue your details to anyone else (unless you have specifically asked for us to promote your event to others that may be interested). Q Am I allowed to do a Door to door or Street collection? A No. The L&D will not allow anyone to do a Door to Door collection. If you hear about a Door to Door collection, please report it to the Fundraising Team on 01582 718289. If you would like to organise a Street collection you need a special permit from your local council. They are often difficult to obtain and need to be planned in advance. Before contacting the Council, please contact the Fundraising Team on 01582 718289. Q Does the Luton and Dunstable University Hospital provide ID badges for fundraisers? A Only if you are fundraising in the hospital itself or if you are assisting with one of our fundraising events. Q How do I pay money into the Charitable Fund after the event? 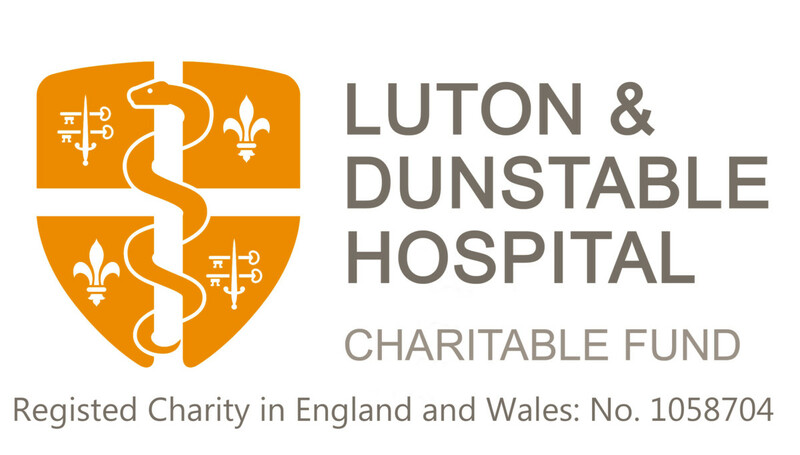 Cheques can be made payable to Luton and Dunstable Hospital Charitable Fund and sent to our main office (Fundraising Team, Luton and Dunstable University Hospital, Luton, LU4 0DZ). Please include a covering letter with your name and contact details so we know who raised the money and can send you a receipt. Set up your own online sponsorship page by visiting www.justgiving.com – your sponsors will be able to pay by debit or credit card and the money will go straight to the ward or department your fundraising for. Cash donations can be made if arranged in advance. Please call The Fundraising Team on 01582 718289 (between 9am- 5pm Monday to Friday) to arrange a time to drop-off. NB: If you would like your money to benefit a specific ward or department, please remember to specify this on the Donation Form. Q Is my donation eligible for Gift Aid? A Donations made by individual tax payers are eligible for Gift Aid. This means that The Luton and Dunstable University Hospital Charitable Fund is able to claim back the tax you have already paid on your donation – making it worth an extra 25p per £1 to us at no extra cost to you! In order to claim Gift Aid we need your name and full address, including your post code. Gift Aid is not recoverable on company or group donations. Q Will someone from the hospital come to my fundraising event? A If we can! We get many requests to attend fundraising events and cheque presentations and we do our best to be at as many as possible. The more notice you can give us the more likely it is that someone will be able to attend. Q How much help can the Fundraising Team give to my event? A We will try to give you as much help and information as possible, however we are unable to sell tickets for your event from the hospital. When you complete the Fundraising Registration Form please let us know if you will need anything. The more time we have to prepare for your event, the more we will be able to support you. Q Does the Luton and Dunstable University Hospital have any collections boxes that I can borrow? A Yes. We have collection boxes your more than welcome to borrow. Try and give us as much notice as possible so we can make sure we have enough for you. There are also balloons and leaflets available that you can use at your fundraising event. Q How do I contact the Fundraising Team? If you would like to meet with a member of the Team please call us first. Due to the location of our office, and Hospital security, a swipe card is required to enter the building and visitors are unable to drop in.